What did you think of Area of Squares and Rectangles ? 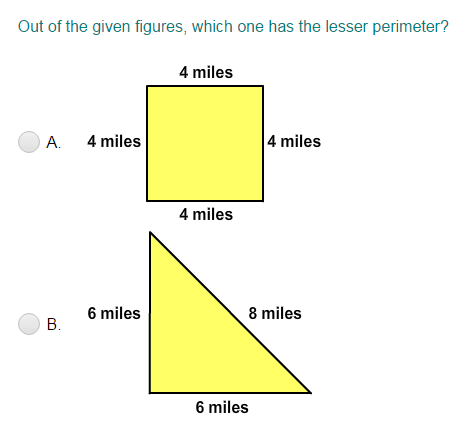 Play more Area and Perimeter quizzes! The area is the amount of surface enclosed by a closed figure. 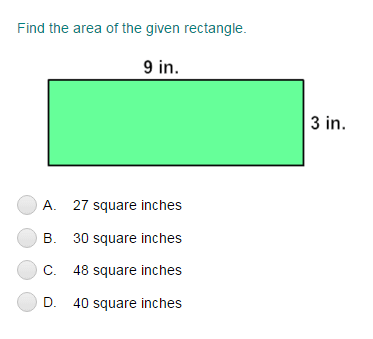 For example: Let's find the area of the rectangle given below. To find the area of the given rectangle, we first need to identify the length and width of the rectangle. The length of the rectangle is 7 inches and the width is 3 inches. So, the area of the given rectangle is 21 square inches.